The core business of Woodlands Yorkshire for 15 years has been the supply of beer gas and related equipment to licensees and caterers. 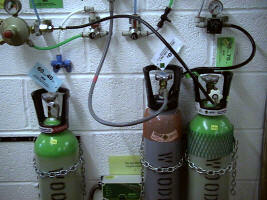 We are the major supplier of beer gas in many areas of Yorkshire. 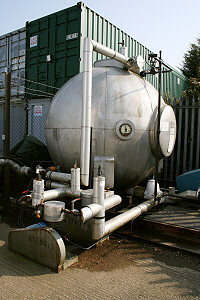 Our lifetime experience of the industry and the scale at which we operate enables us to obtain beer gas supplies at very competitive prices and pass on bulk cost savings to our customers. We supply and refill cylinders of carbon dioxide and operate a collection and delivery service in many parts of North Yorkshire. Regular customers can place account orders by phone, email, fax or post. New trade customers should contact us to discuss terms of business. We do not advertise beer gas prices because of frequent small variations in unit cost. The price applied to an order will always be the current price. We supply carbon dioxide in cylinder sizes: 3.15 kg, 6.35 kg and 22.6 kg and nitrogen/carbon dioxide mixtures in 6.35 kg cylinders., in proportions of 40-60, 50-50 and 70-30. Cylinder contents are to food grade standards. 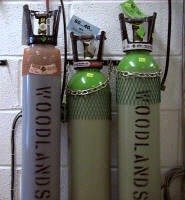 Woodlands can supply helium in L10 refillable cylinders for use as balloon gas. 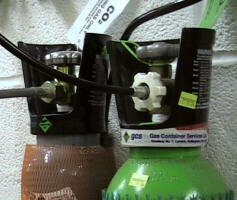 One cylinder will inflate up to 200 balloons up to approximately 22 cm (9 inches) in diameter. As there is an increased chance of leakage from balloons and bursting when using helium, it is better not to underestimate the quantity of gas (or balloons) required. We stock packs of balloons of various types and quantities.